Join David Capozzi from the U.S. Access Board as we discuss the status of rulemaking under the Americans with Disabilities Act. 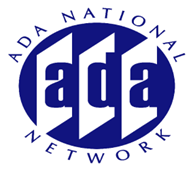 This session will discuss the status of proposed accessibility guidelines including the revised ADA/ABA Accessibility Guidelines recreation environments, public rights of way and passenger vehicles.Supreme Court decisions, case law and guidance from the EEOC continue to define the requirements of Title I - Employment under the ADA. From the definition of disability to reassignment, this session will identify the evolving issues employers and employees should be aware of in order to assure compliance with the ADA.